For every sports fan out there who ever dreamed of getting a backstage pass to his favorite athlete, I know just the book for you. 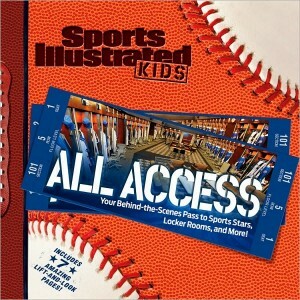 Sports Illustrated Kids, All Access: Your Behind-the-Scenes Pass to Sports Stars, Locker Rooms and More, gives you access, treats you like a V.I.P., and makes all your dreams come true. Sports Illustrated Kids offers sports enthusiasts so much up-close and personal information about their favorite athletes, readers will come away feeling like a member of the team. For instance, there’s a life-sized overlay of Shaq’s hand for readers to compare their own hands with. There’s a photo of Philadelphia Eagles linebacker Ernie Sims, who just happens to own dozens of reptiles, posing with a beloved iguana on his head. Skier Patrick Deneen cheeses for a photo with two of his miniature donkeys, and there’s even a photo of Grant Hill explaining why he only has health food in his over-sized refrigerator. This book has everything. Do you dream of pumping up? Don’t miss the close-up of the University of Miami’s state-of-the-art weight room. Want to know what football gear is really like? Thumb over to the peel-away that reveals the protective gear underneath your favorite player’s uniform. Love snowboarding? Check out Gold Medalist Hannah Teter’s awesome snowboard collection. I’m no sports fanatic, but this book still managed to hook me. I especially loved the section on Chris Paul’s signature shoe, and how it went from concept to drawing to finished product. I was fascinated by the x-ray look at what really goes on inside a NASCAR driver’s transporter truck. This is a great book that manages to teach as much as it entertains. 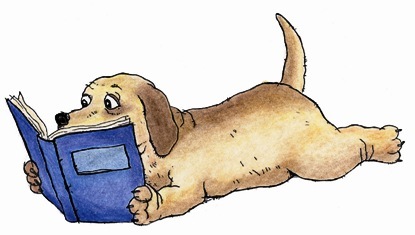 Its wonderful pictures and peel-aways are wrapped tight in a neat hardback binding that is lightweight, classy, and appealing to enthusiasts of every age. The cover has the actual orange-peel look and feel of a real-life basketball! Want easy access to your favorite sports? This book is the ticket.